High school sweethearts John and Caroline moved to New York together to pursue careers in finance and theater. With their dreams close to reality, John decided to pop the question in the iconic Bowery Hotel with the help of Engaged in New York. 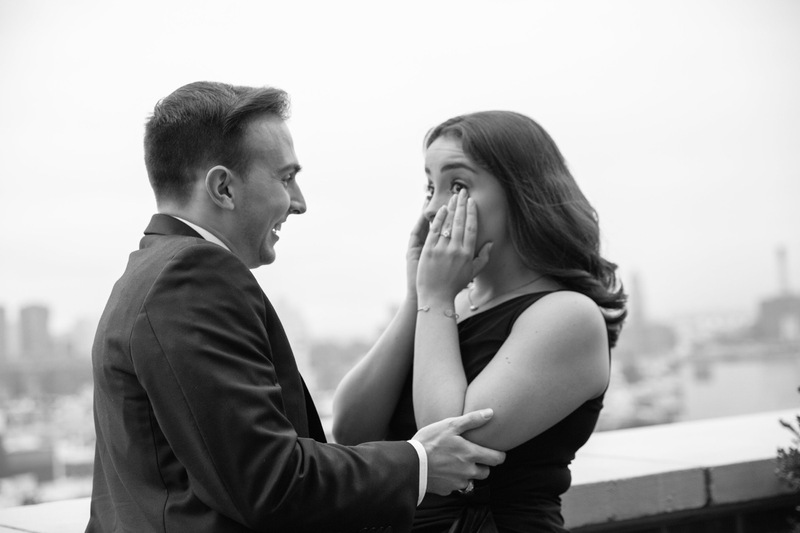 The proposal featured white petal roses, a violinist and the New York skyline at dusk.